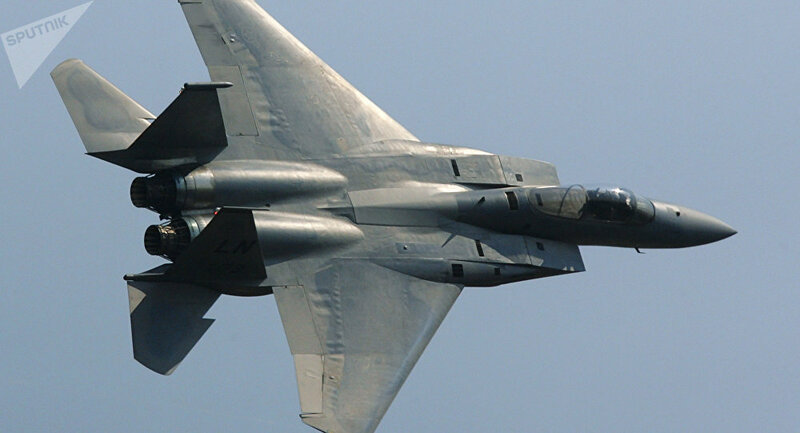 The Pentagon announced on Tuesday it had awarded over $20 million to train new pilots for F-15 jets. WASHINGTON (Sputnik) — US defense giant Boeing won more than $20 million to train a new generation of US Air Force pilots on aging F-15C and F-15E aircraft platforms, the Department of Defense said in a press release. "The Boeing Company, Defense, Space & Security [of] St. Louis, Missouri has been awarded a $20,751,618… contract modification for mission training center services on contractor-furnished, high-fidelity simulation equipment," the release stated on Tuesday. Boeing will provide the simulation capability to train pilots and weapons system operators for F-15C and F-15E aircraft platforms, the release added. Work on the contract will be performed at several Air Force bases within the United States, at Kadena Air Base in Japan; and at the Royal Air Force Lakenheath air base in the United Kingdom, according to the release.